FiveStar is committed to excellence. They have been building high quality professional ranges since 1935. FiveStar is known for its 1990 premier of the FiveStar ProStyle range. Award-winning chef, Rick Bayless, has been cooking with a FiveStar range for more than a decade in his home. Grover Cleveland Brown made it his mission to serve serious home chefs. He passed down his tradition to his son, grandson and no great-grandson, Matthew Brown. The FiveStar family is passionate about food and perfection. “Every Fivestar feature is designed to ensure you have all of the tools you need to unleash your genius.” The Applianceman Service are surely skilled in knowing how to repair, service or help you in any way with your FiveStar kitchen appliance. Customers rely on us to be able to fix any repair issues on any product. The Applianceman Service stands by the fact that your kitchen appliance needs will be fulfilled by skilled technicians. The Applianceman Service technicians have been repairing home appliances all throughout the greater Columbus area for over thirty years. Please call us with questions about your FiveStar appliances. Do not hesitate to contact us! 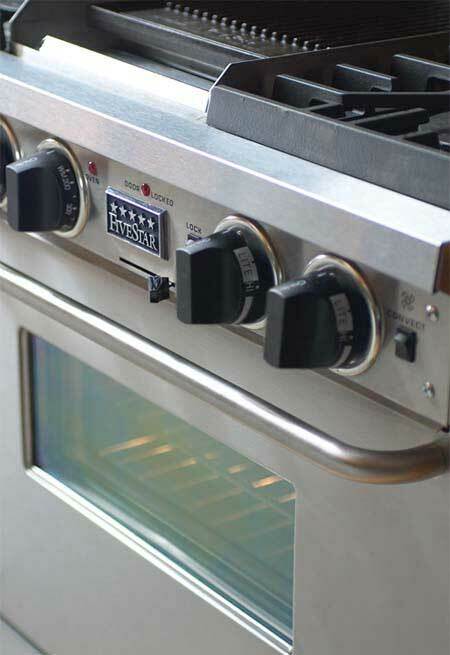 The Applianceman Service is more than equipped to overcome all of your FiveStar appliances issues.